When we review the best, we make sure the services and tools live up to that. This article looks at one of the features sort after in regard to PDF files. Merging PDF files is very important when you need to have a single file carrying all information. Combining PDf files has also been found to save on time and effort when you are dealing with attachments consisting related information. By merging the files together, the process of sharing is made easy to a great extent. However, to be able to achieve the best PDF merging results, you require a great software for that to deliver the needed results. The hunt for the best PDF combiner software or tool can be tedious if you do not know what you are diving into. Luckily, this article is for you looking for the nest PDF merger tool. We take you through the world of PDF combiner tools so that you can select the one that suits you based on the features and convenience. You do not have to be stranded any more when it comes to merging PDF files as you have a wide list to choose from. Without further ado, let us look at some of the best PDF merge tools. TalkHelper PDF Converter is the undisputed PDF management tool that delivers all features in one package. It has over time won the hearts of many by being the best and top tool of all times. In the line of this article, it is obvious that it cannot fall short as the best PDF merger software. This software sees constant development to ensure all features delivered rhyme with the current market trends. TalkHelper PDF Converter supports all version of Windows hence can comfortably boast of reliability. Combining PDF files has been made easy with the simple and intuitive user interface that this PDF merge tool delivers. Privacy and security of PDF files that may contain sensitive information are guaranteed as all processes happen offline. In addition, no user information like the email address is asked from the user when working with this top program. Support of batch merging has been enhanced by the availability of a drag-and-drop feature to add files more conveniently. PDFsam delivers very rich features at your disposal when you need to merge PDF files. It is the best PDF merge software as it is free and open source. With it, you will be able to combine PDF files to form a single document carrying all the information. The resultant file is very convenient when it comes to sharing. You are free to add blank pages after each merged document in the instance where a document has an odd number of pages. In addition, you are able to add page footers containing the name of the PDF file from which that exact page came from. Better yet, you can normalize merged PDF pages so that their width matches that of the first page. All that is possible with this top PDF combiner software. When working on a project, you may have so many single PDF file pages which can be quite tedious in terms of sharing. Attaching such files via email can be time-consuming and you may miss some files. Luckily, Abode Acrobat DC is here to get you out of all that hassle. Featured as one of the best PDF combiner program, you are sure to have the best experience when combining PDF files. Your many attachments will be simplified to just a single PDF document. It is also a very good and convenient choice as you can merge PDF files on the go from any device. In terms of file management, you are able to arrange the pages in the preferred order with the easy drag and drop feature. Better yet, you can make the navigation of your final PDF file easy by implementing bookmarks, footers, headers and page numbers to guide the target audience in the best way possible. In addition, customize the pages with watermarks and backgrounds of choice. PDFmerge.com is one of the best PDF merger services on the web. 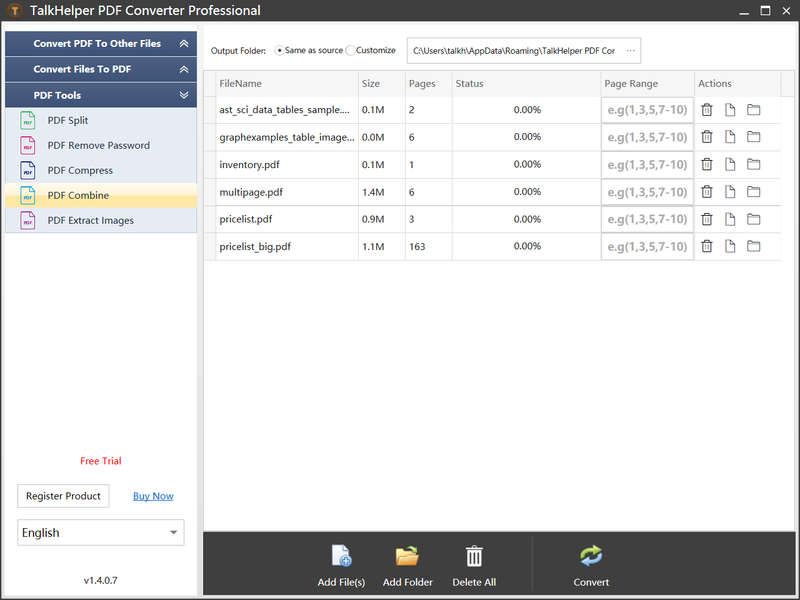 If you are looking to combine PDF files without the need for installing cumbersome software on your PC, this is your go-to tool. Combining PDF files has been made a great experience with the accompanying features. This PDF combiner is available meaning that it can be accessed anywhere in the world no matter the device or operating system. All that is required is an internet connection and a supported operating system to load the website. The PDF addition process for merging is very straightforward from the file browser and you can always remove any file or reset the whole list to start afresh. In addition to that, you are not limited to the number of PDF files that you can add for merging. Better yet, you stay anonymous when using the tool as no information, not even your email address is asked from you. 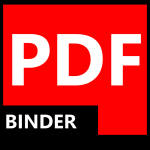 Featuring as one of the simplest and best PDF combine software for Windows, PDFbinder brings you simplicity and convenience at the highest level. It is a good program when you need to merge PDF files quickly within a short time. Merging PDF files happens offline without the needing internet to make uploads and eventual downloads of combined PDFfile. You can browse for files one by one using the file browser or perform batch conversion by adding files using the drag-and-drop feature. 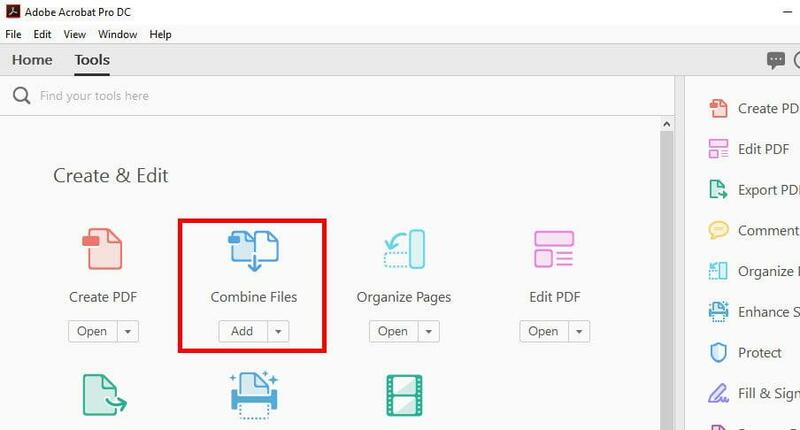 Combining PDF files will be much convenient using this feature, all you need is to add files in the right order and get started. In addition, you will be able to manage the PDF files once they are added on the list by moving them up or down to place them in the right position and if the need arises, delete unwanted PDF files from the list. 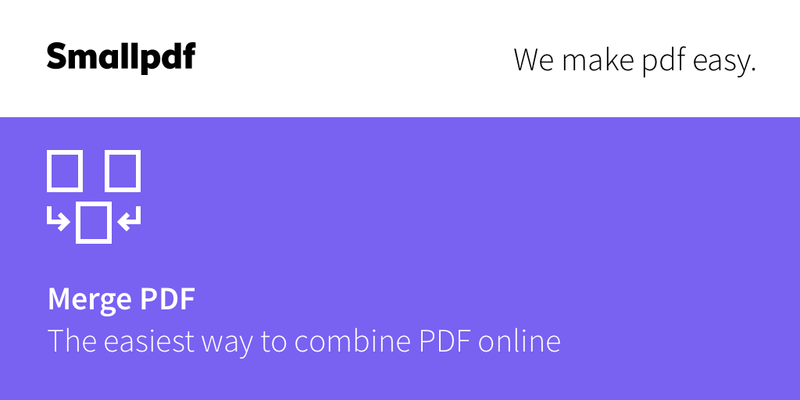 Merging PDF files happens instantly while at the same guaranteeing privacy and security. This is ensured by the fact that no files are uploaded online and the whole process happens offline. SmallPDF is one of the best PDF merge services on the web. That goes without saying you do not need to install software hence saving on your computer resources especially the storage and processing power. You are guaranteed on the security of uploaded files as they are deleted within an hour after upload. Adding of files is very convenient as you can do it form the local computer or cloud platforms like Google Drive and Dropbox that are supported out of the box. This top tool is very reliable as it can be accessed from any device and operating system from anywhere in the world. 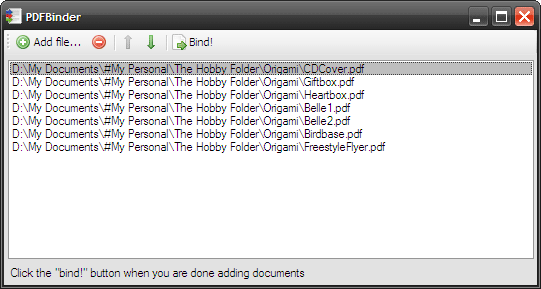 Of course, you may want to arrange files properly after uploading. In regard to this, you are required to simply drag pages in the editor for any necessary rearrangement and possible deleting as the need may arise. You are also not limited to the number of PDF files that you can combine. Make combining PDF files a smooth process with Small PDF Merge. 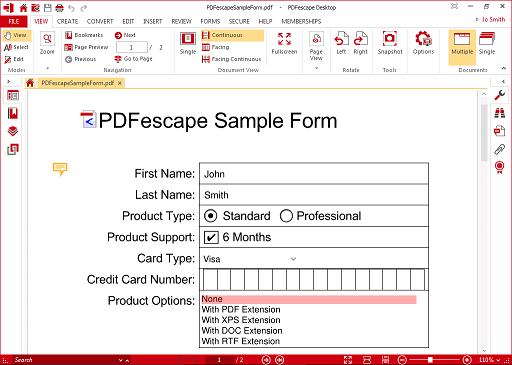 PDFescape boast of being an all-round PDF editor that delivers lots of features including merging PDF files as our feature of interest. It can be regarded as one of the best PDF combiner software available offline. This top program allows you to add single PDF files, a whole folder or even import PDF files that are already opened and need combining. The interface is very rich and you just need to select your target feature and get started. In addition, you are able to set a preferred language for the interface from a list of the most popular languages in the world. Merging PDF files is not marred by any watermarks or registration requirements. Free features are provided as they are without the need to register. However, there are premium features that require you to purchase a license like the PDF splitting. This top PDF merger can also be accessed as an online service when the need arises. Combining PDF files has never been this easy and convenient. The ball is now in your court. Choose one from the list as your go-to best PDF combiner software or tool and get started. Which one augers best with you? How To Choose The Right “Convert Mode” In PDF To Word/Excel Conversion?